What mods do you use? Do I need to install them? 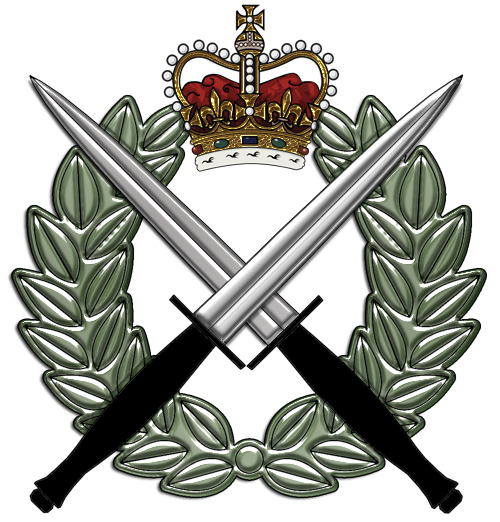 We use a wide range of publicly available and in house custom mods designed to enhance the realism and fidelity of British Army milsim. Everything you need is provided in a our mod repository that you will be able to download after you have completed Phase 1 training. Do I need Apex DLC? Do you accept trial apps? The probationary period for VCB is a trial, so the application process is the same. If you decide to leave after playing your first mission with us we won't have a problem with that. However, we invest a lot of time and effort into new recruit training so please consider carefully before joining whether VCB looks right for you. I posted an application but I no longer wish to join, what do I do? If you change your mind after applying (it happens) please post in your application stating you no longer wish to join so we can take your name off the list and process other apps in a timely manner. Why am I on a waiting list? VCB value quality over quantity and we have a maximum number of members we can comfortably hold at any one time. If we reach the limit or get a sudden influx of new applications, we may put recruitment on hold. You may still apply but it could take up to two weeks for your app to be processed. I may have to go away for an extended period (4 weeks or more) is this going to be a problem? This is generally not a problem as long as you let us know in advance. If you are absent from VCB for more than 4 weeks you will be put in the Reserve Section. If we hear nothing further from you your membership will be withdrawn after a month and you will be invited to reapply when you return. No. We are a co-op milsim group. PvP games can be arranged for non-mission nights by individuals if they wish. We do very occasionally run ops that involve an element of player opposition, though usually for training purposes. Can I join as a pilot/sniper/specialist? Everyone is a rifleman first. Specialist Qualifications are awarded to individuals after completing the prerequisite training courses. Support assets are only used in missions if we have a specific need for them on that op. I have real-life military experience, do I still need to do Phase 1 Training? Yes. We want to ensure that everyone, regardless of actual experience starts on a level playing field. Depending on when (and where/with whom) you served the majority of our TTPs ought to be familiar to you; however some have been modified slightly to fit ArmA and as with any unit or sub-unit, we have our own SOPs and ways of conducting things.